I've been fooled so many times by aquariums. Brimming over with excitement, I've skipped my way through only to be saddened by cramped fish, overheated penguins and animals performing at feeding times. 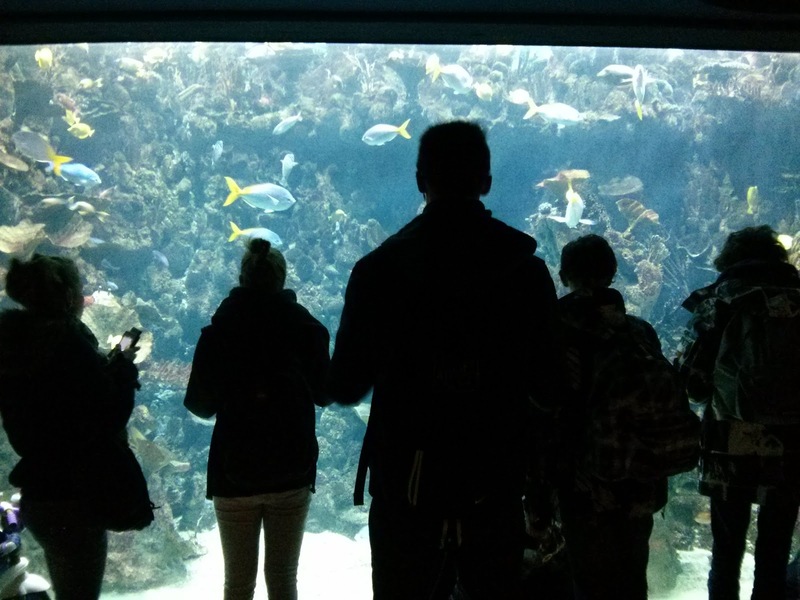 So I was healthily sceptical about The Deep, an aquarium in Hull. One of the Millennium Projects in the UK (in fact, the only one still open), The Deep stands tall over the Humber river bay, shaped like the bow of a ship. The name stems from the arrangement of the interior, known only as the world's first submarium. 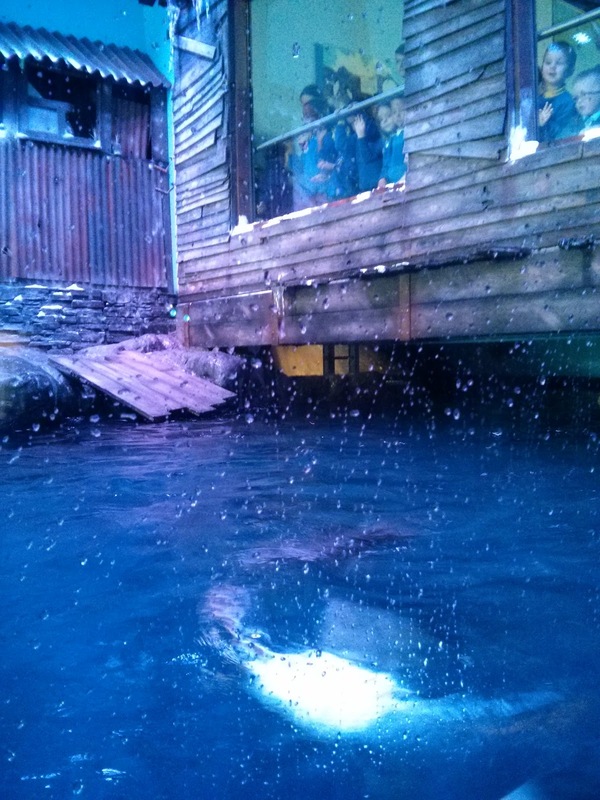 Instead of walking around walls of water, the fish are homed in a gigantic column of water that runs up the centre of the building. Ah, the penguins. New to The Deep, the Gentoo penguins are a huge attraction. I visited early in the morning, and still had to elbow an army of small children out of the way before I could get to them. I've actually never seen such an excited child as the one who stood, wide eyed and shouting, nose pressed up to the glass, waiting for one to jump in the water. The penguin jumped, and the child's head exploded with joy. I should point out that the penguins can't hear the absolute racket taking place on the other side of the glass. This, I'm afraid, is the best picture I could get of the leaping penguins. Boy, were they quick on their flippers. 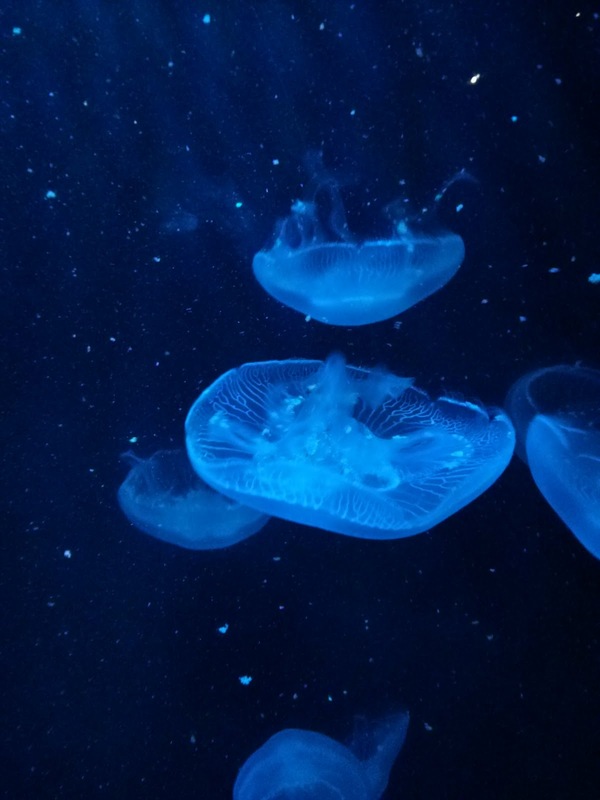 Brilliant as the penguins were, I was transfixed by the array of jellyfish. 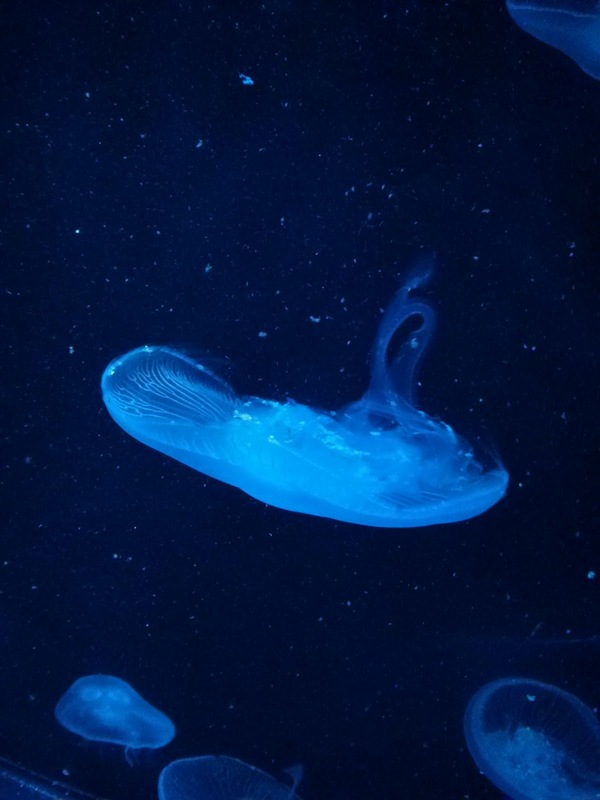 They were hypnotic, glowing blue and dancing inanely through the tank. I could have watched them all day. We also saw the tiniest jellyfish babies ever, part of the breeding process at the aquarium. 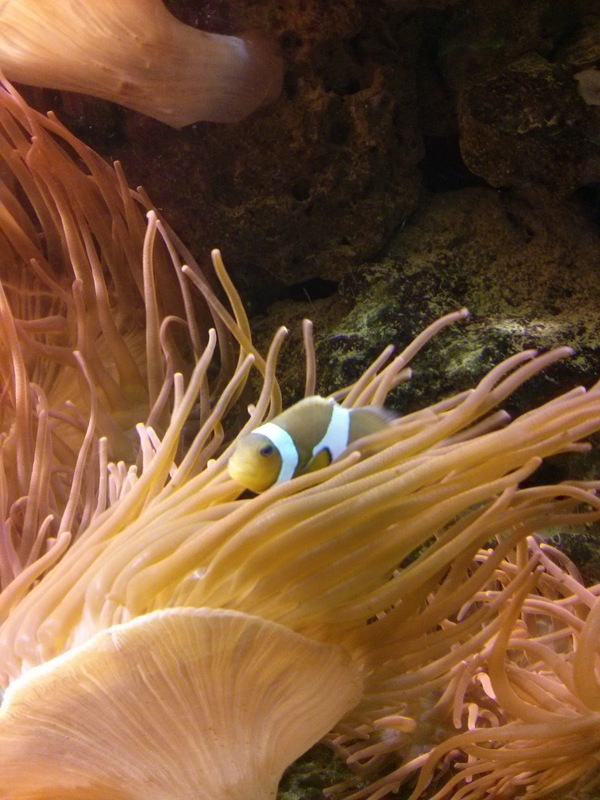 I was also thrilled to see a wee Nemo fish, actually brushing himself on an anen... anon... annem... anemone. I tell you, what that film has done for aquariums is insane.